Capitalism, at least how it is practiced in the West, primarily rewards those who put up the capital, the investors or owners. Wages are seen as a cost to control, employment is to be minimized. But step back and ask, is this fair? Surely the people who put millions into a business should get some type of return, but how much effort is there in calling your broker or writing a check? What about the people who show up every workday, who come up with ideas to improve the process, who satisfy customers, and who spend their wages and volunteer in their community? In a fair world, what percentage of the profits should they get? Worker owned cooperatives are an alternative way to set up the enterprise so that this relationship is more balanced. These cooperatives not only share the fruits of labor with the laborers; unlike ESOPs, they also get decision making authority. Rights and responsibilities should in my mind always be aligned in this way. Give employees power and a fair share of the profits. After my many years experience with self directed work teams, I know that with a little coaching and support, most people will step up to the responsibility. Increasingly business owners are selling their companies to the employees. Here are some examples. Nature has been recycling greenhouse gases for a lot longer than humans have been adding more of them to the atmosphere. But which strategies would make the biggest differences. Here’s a report that compares natural strategies (like reforestation) to taking millions of cars off the road. If you are thinking of buying carbon offsets for natural projects, this chart might help you decide what to put your money toward. So-called BlueZones are areas in the world where people live long and healthy lives. The BlueZones organization has translated these into principles in a book published a number of years ago and they are now partnering with communities to improve their well-being. Fort Worth is one such community which has seen measurable improvements in only 4 years. 31 percent decrease in smoking following Blue Zones Project implementation, advocacy, and policy work. Fort Worth’s smoking rate now stands at 13.5 percent. 5.6-point increase in those who say they are proud of their community, now at over 69 percent. More than 58 percent of Fort Worth respondents are now categorized as “thriving” in their general evaluations of their lives, an increase of 7.3 points. The survey revealed that 75 percent of Fort Worth residents use their strengths daily, an increase of 6.2 points since 2014. --Utility messaging around the barriers or cost concerns only leaves people feeling like they're putting up roadblocks. In The Netherlands (of course), people are working on a design of a community that would generate all its heat and power, provide all its water, and half its food. Chargepoint is planning to deploy a million charging stations by 2025. Since Tesla gives people the option of getting a dual charger (a Tesla one and the one the rest of us use), many Tesla’s could use the charger too. So if you’re thinking of putting in a charging station at your business, it’s more democratic to put in one of these. It’s hard enough to afford an electric car; a Tesla is out of reach for many people’s budget. The Netherlands is testing out bike paths made from plastic waste which are projected to hold up better than asphalt. Sections come premanufactured and are light so they are easily installed. Why don’t we use this approach to expand our sideswalks to be multi-use paths so electric bikes and neighborhood electric vehicles could share the paths with pedestrians? Bisphenol-A mimics hormones and is implicated in the precipitous drop in sperm counts. But BPA-free plastics aren’t necessarily safe because the chemicals that replaced BPA may have similar effects. Here’s an article about the problem that includes clear instructions for how to avoid a lot of your exposure. In Arizona, as in other states, there are debates going on regarding whether switching to a more climate friendly energy system is going to “break the bank” or not. 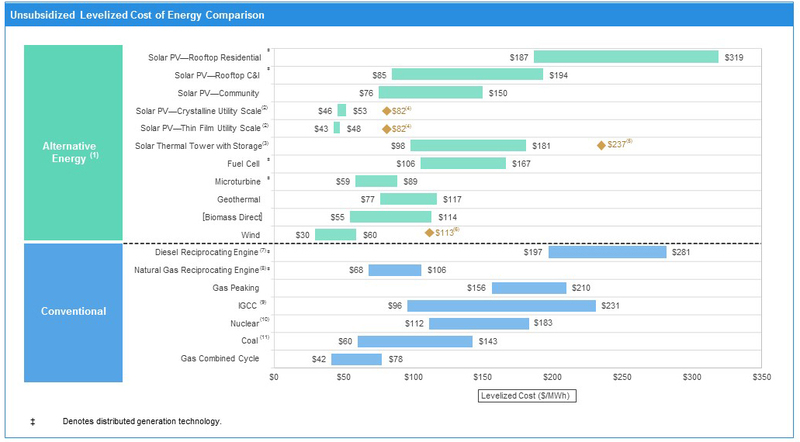 We won’t tell you how to vote, but here are two sources where you can answer your own questions about the cost comparison between conventional and renewable power. But our society contributes to the prevalence of these problems. The more unequal a society, the higher the rates of mental illness, not only for people at the bottom of the totem pole, also for people at the top. Groups that feel mistreated by society are more likely to act out their frustration. And in autocratic organizations, employees “retire and stay,” become “maliciously obedient,” or even sabotage. This article quickly reviews the data on social impacts on mental well-being and provides suggestions for a path forward. You may have heard that kids raised around animals are less likely to develop asthma. Now it appears cleaning your house, especially with traditional cleaners, can make kids fat by affecting their gut microbiota. Even over use of eco-cleaners, including vinegar, can reduce one type of gut bacteria, although green cleaning products aren’t associated with childhood obesity. When a child's weight was measured at the age three, children who came into contact with disinfectants the most had higher BMI scores, while those encountering eco-friendly products—including homemade substances using vinegar—saw an inverse trend. So ease off the disinfectants. For sure, get rid of antibacterial soaps that contribute to antibiotic resistance. And use green cleaning products sparingly. Remember, we have at least as many non-human cells than human cells in our bodies. Sure, there are some bad bacteria around, but many are our friends. Plant-Pure Communities has put together a short summary of data about the impacts of our Western diet and provides a handful of recommendations. Given that we now likely need to take more carbon out of the atmosphere than we put in, are we now forced back toward nuclear power? There appears to be a PR campaign for nukes underway. I’m just catching up on episodes of Madam Secretary but the program I just watched had one of the characters making an impassioned case for the need for nukes. This also came up in the Helsinki-based series, Deadwind, but in that episode, nukes didn’t win the debate. Have you seen this argument showing up in other programs? Now MIT has released a report saying we need nuclear power. Granted, the nuke designs today are much safer, and some can reprocess spent fuel, reducing the quantity of nuclear waste. But we still have no solution for storing the waste and no reliable way to protect those stockpiles for 10000 years. And then there’s the risk of dirty bombs. And the possibility of Peak Uranium. What do you think? Is there a viable alternative? Can we ramp up action on the priorities in Project Drawdown (like replacing refrigerants and switching to a plant based diet)? Personally, I’d rather give up bacon than have a nuke in my neighborhood. (See Project Drawdown recommendations here: https://www.drawdown.org/solutions-summary-by-rank). If, that is, if it will be enough to avert disaster. It may be that we’ve waited too long. If we do start considering nukes again, we need to take a full life cycle comparison of options, comparing the costs and carbon impacts of building, fueling, operating and decommissioning along with storing and protecting waste products. If you take into account the entire supply chain, like mining uranium, etc., according to this research, nukes have a similar carbon impact to wind. The goal is no longer carbon-neutral; now it’s climate positive. According to this research group, we just passed the point at which our emissions would meet the science-set limit of 1.5 degrees C that would hopefully prevent us from throwing the world into unknown climate territory. So now we all need to be taking out more greenhouse gases than we are producing. That may seem magic-thinking, but some companies have already set climate positive goals. Here are 6 steps to get there. Blockchain is the technology that Bitcoin uses to track financial transactions. But sustainability professionals are eyeing it for other uses, including tracking product components through the supply chain to verify the end-product qualifies for a sustainability-related certification. This will certainly make it easier for manufacturers to report on sustainability performance. And it will help anyone doing a greenhouse gas inventory who is trying to account for the climate impacts of their purchases (a major part of “Scope 3” emissions). Purchases are often one of the largest sources of a company’s greenhouse gases but accounting for purchases has been one of the most confounding tasks in a greenhouse gas inventory. The bulk of a greenhouse gas inventory is a simple matter of multiplying your electricity, gasoline and natural gas use by the appropriate factors. We've encountered quite a few companies locally who are paying extra for so-called biodegradable cups, flatware, etc. Most of these products are only compostable in an industrial facility that can generate extreme heat. If your community doesn't have such a facility, you're wasting your money. Ironically it can be more sustainable to use recyclable plastic. 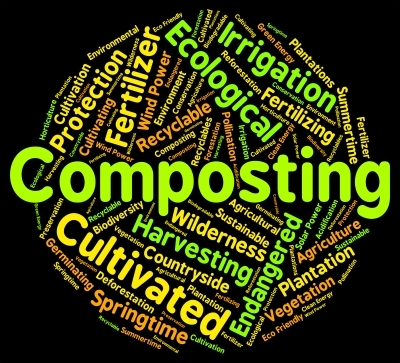 If a product says it's compostable in soil, then it will break down under normal backyard conditions but remember, you have to separate all compostable products and compost it! Otherwise it will generate methane in a landfill. Even products with the Biodegradable Products Institute Label (right) won't biodegrade in small composting operations; note the phrase "in industrial facilities." Locally, here's the advice we give people and the resources we share, since we don't yet have an industrial composting operation in the area. If you're from out of the Verde Valley, see if you can find equivalent resources. If the product doesn't say compostable in soil, if Sedona Composts or the Yavapai Food Recovery Program can’t compost the product, then frankly, go for reusable products or recyclable plastic. 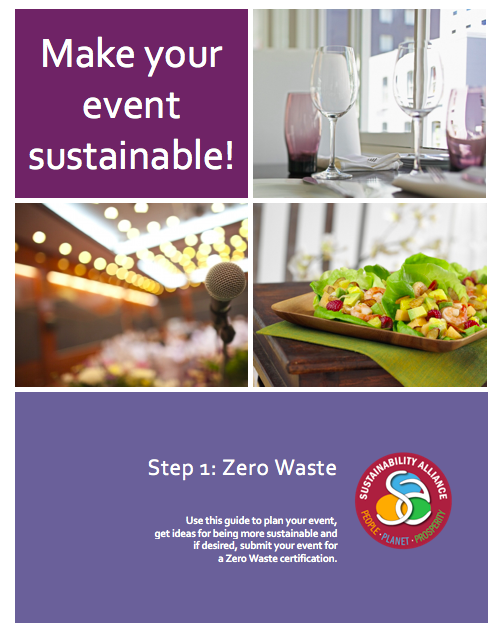 Otherwise you'll have to find an industrial composting system (there's one in Phoenix). For cold beverages for example, you're better off with #1 clear plastic cups that can be recycled locally. You might be able to pick up a bunch of mugs at Paw Prints/Goodwill or borrow some from Sedona Recycles. You can also advertise to customers/attendees to please bring their own travel mug and then sell mugs for people who don’t. Alternatively have travel mugs printed up with your logo. Here’s an example with prices running around $3 each. Take out containers have more options and issues. Some recycling systems can't handle black plastic so avoid clamshells with clear tops and black bottoms. No, no, no to Styrofoam! Anything that is microwavable can't be recycled, even if it has a number in a triangle, because it melts at a different temperature than the other plastics of that number. If your foods aren't hot, you may be able to find all-paper to-go containers. But think about what your customers are going to do with it? If most recycle but few compost, you may still be better off with plastic. According to Sedona Recycles, the best plastic take-out container is Ecopax (a #5 like yogurt containers) in beige. Portion containers can be found in #1 PET plastic with #1 plastic lids. Straws, just say no. Stop giving out plastic straws automatically. For customers who ask or need one, use straws made from paper, straw (that's where the name comes from! ), bamboo or even reusable stainless steel. 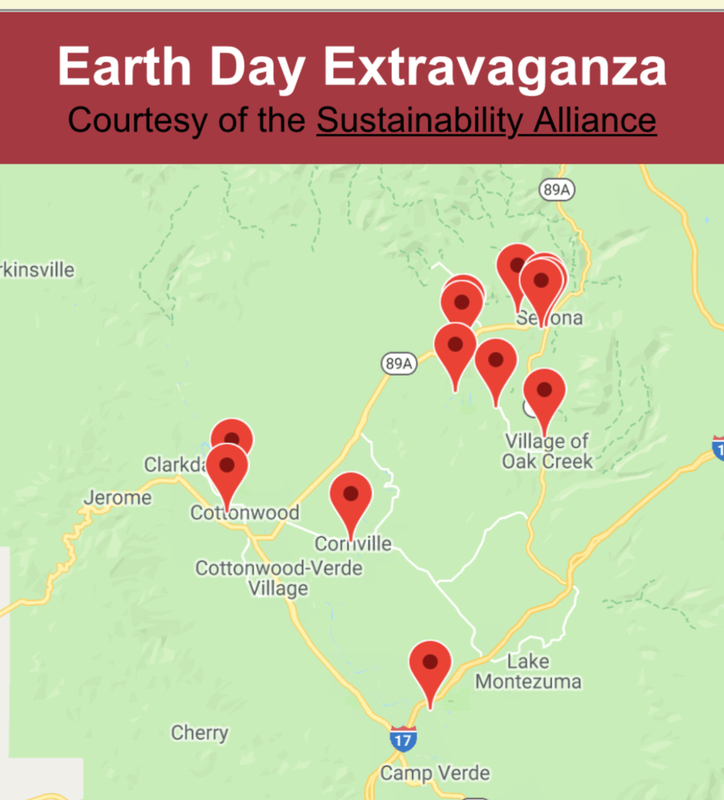 Participate in the Straw-Free Sedona campaign. Popular destinations are struggling to deal with the effects of over-tourism which threatens to undermine the quality of life for people who live there and also the visitor experience. Some communities are fighting back, limiting the number of visitors or cruise ships. Sedona is currently working on a sustainable tourism plan, and one of the out-of-control issues is the explosion of AirBnB rentals. Renting a room in your home isn’t much different than having a friend visit. And renting out your house when you’re on vacation is almost like you’re still in town to your neighbors. But it disrupts the community when several homes on a street turn over every few days, sometimes to rowdy vacationers. These investor AirBnBs are driving out what otherwise would be workforce housing long-term rentals. It’s hard to imagine how solar panels could make it rain in the Sahara, but according to this study, it could. The question is, what would the effect of that be? Would it simply reverse the spread of desert caused by humans or would it disrupt other ecosystems? Bees and hives around the world have been dying out at an alarming rate. But The Netherlands appears to have solved the problem. They eliminated certain pesticides, planted green roofs, spread native plants across public lands and are subsidizing others to do the same. They even drilled fist-sized holes in the sides of buildings for bats and bees to use as homes. There are benefits to humans too. Zoku, a hotel, planted a rooftop garden to lure people away from their laptops. It's nice to imagine the Sunshine State putting all those oranges into the bottle. But after a citrus disease reached Florida in 2005 which reduced production by over half and increased prices by $2 a gallon, Brazil stepped up production and used the money in part to buy up the production facilities in Florida, shutting them down. So now more than half the OJ in your bottle comes from Brazil, adding to climate impacts. High pesticide use has also been reported. But the situation is worse for the workers. One 2015 report from activist organization Supply Cha!nge called the orange picking industry in Brazil "a modern system of slavery." Workers are sometimes unpaid for weeks and trapped in employment contracts that keep them in debt and stuck on the plantation, the report says. Container ships and other ocean vessels are going to start sprouting sails that look like Greek columns. You’d think that such things would create drag but instead they can increase fuel economy by 6%. Watch the demonstration with the basketball to understand how these work. Development has made precipitation a problem. All our hardscapes prevent rain from percolating into the ground. Ditches and curbs concentrate the flow and pipes either take the rainwater to a wastewater facility to be processed (using chemicals and energy) or to rivers where the strong pulses of water erode the banks. And all along the way, the precipitation picks up the crud of urban life: litter, oil from the roads, and pesticides from yards. As a partial solution, engineers have come up with an inexpensive way to filter stormwater, cleaning many of the contaminates out. This could mean that water getting to our rivers would be cleaner. In the developing world, it could become a source of water. Nimble says it's committed to becoming e-waste neutral by 2022, and will recycle up to a pound of e-waste for every product sold. Bloomberg published a fascinating set of maps of the US showing how we use our land. Take a look and poke around the data. One chart shows that livestock takes up 1/3 of our land. As people eat less meat, maybe this can be recovered or even returned to bison. But what will happen to the ranching communities? How will these areas and communities be affected by long term trends and sustainability related pressures? Is this how we would want to use our land? How might we change our practices to make room for more non-human native species? Microsoft announced that it will only work with firms that offer parental leave. The software giant’s new policy means that anyone working with it has to offer mothers and fathers 12 weeks of leave at two-thirds of their wages or up to $1,000 weekly, according to The Post.